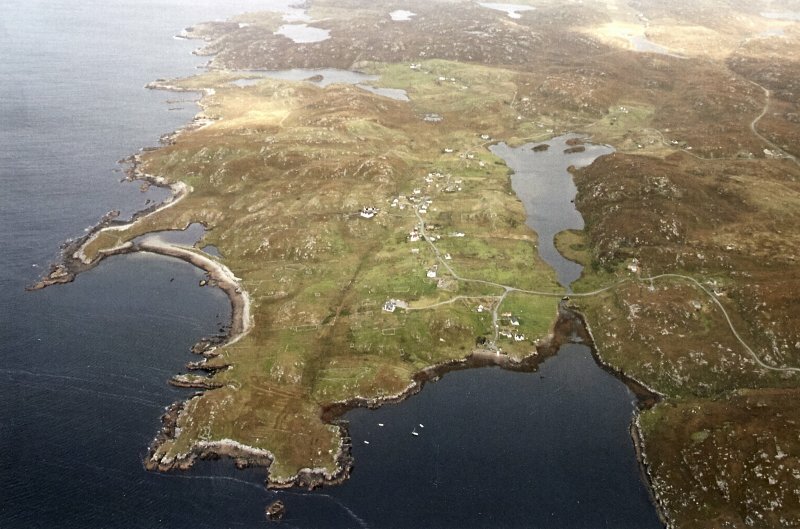 General oblique aerial view of Loch a'Bhaile, taken from the S.
Oblique aerial view centred on the township, taken from the SSE. Breasclete displays a number of phases of development which are depicted on the 1st edition of the OS 6-inch map (Island of Lewis, Ross-shire 1854, sheet 18) and on the current edition of the OS 1:10000 map (1974). To the E is an extensive system of head-dykes (NB23NW 81) which may be partly associated with these townships. The first phase is a pre-improvement township with two foci (NB13NE 32.01 - .02). 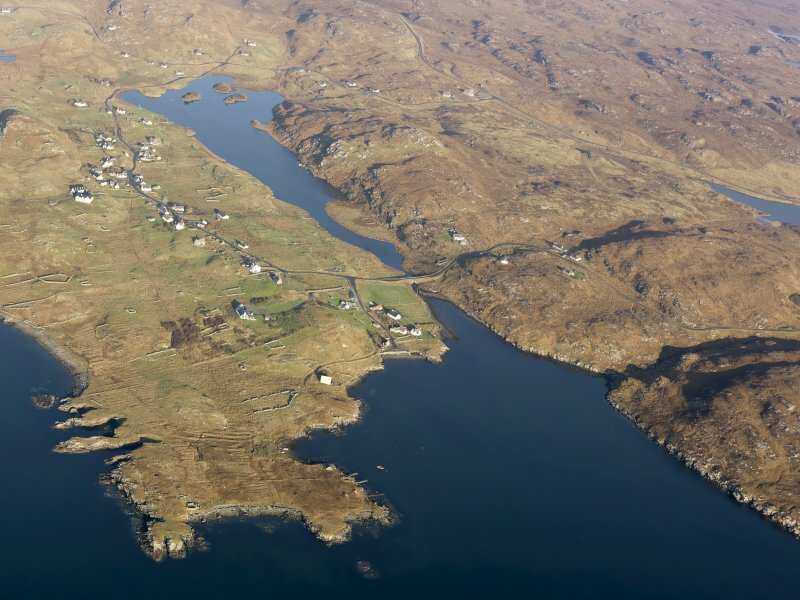 This is replaced by two crofting townships (see NB13NE 32.03, .04). Both crofting townships have been enlarged to form the present extensive crofting township of Breasclete.